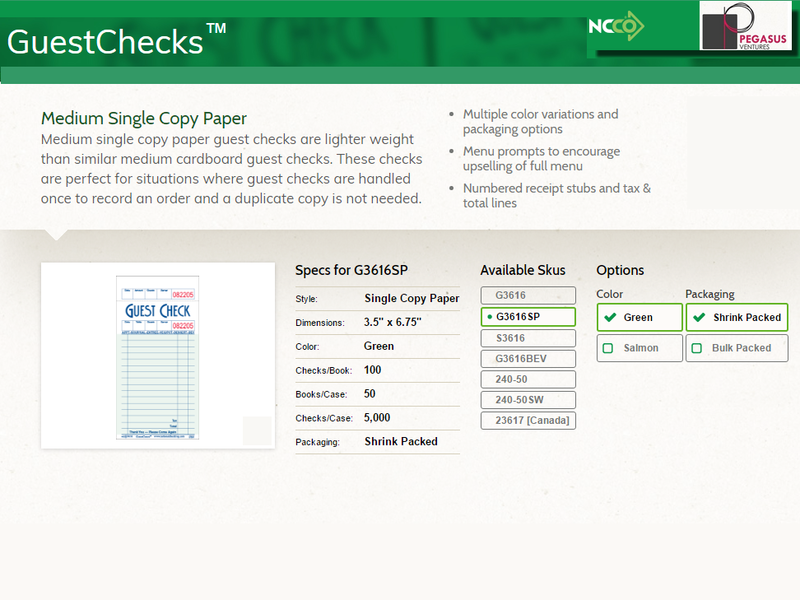 The G3616SP restaurant guest check is a medium single copy paper guest checks are lighter weight than similar medium cardboard guest checks from National Checking brand guest checks. 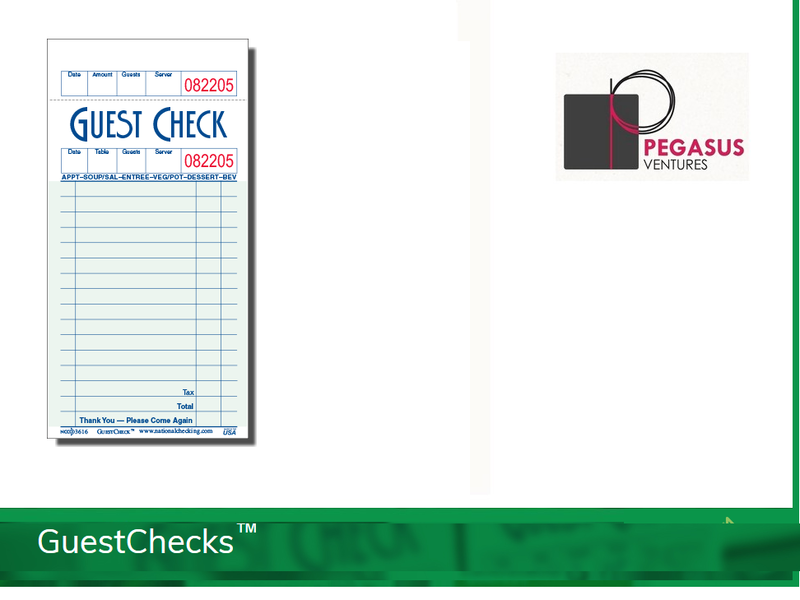 The 1 part G3616SP guest check is perfect for situations where guest checks are handled once to record an order and a duplicate copy is not needed. 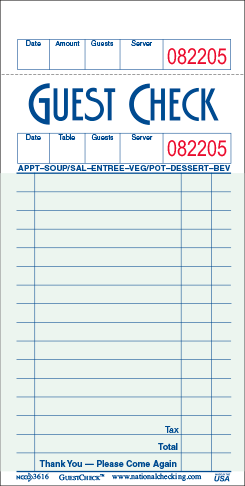 Check out the AL-300 Medium Black Check Holder below, a great fit for the G3616SP restaurant guest checks.